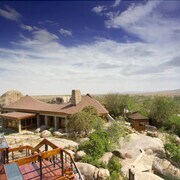 What are the top landmarks in Serengeti National Park? Explore the great outdoors with a trip to Maasai Mara National Reserve, a popular green space in Masai Mara. 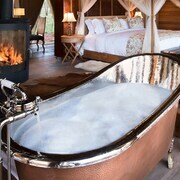 You can seek out the area's safari tours and campsites. 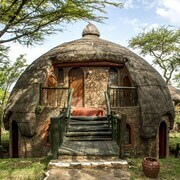 Explore the great outdoors at Olare Orok Conservancy, a lovely green space in Masai Mara. 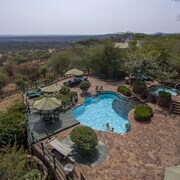 You can seek out the area's safari tours and campsites. 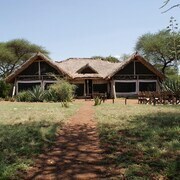 Explore the great outdoors at Naboisho Conservancy, a lovely green space in Masai Mara. 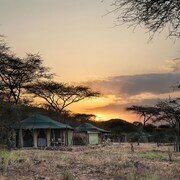 You can seek out the area's safari tours and campsites. 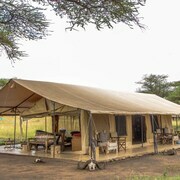 Situated in a national park, this tentalow is in the same region as Serengeti Reserve Institute. 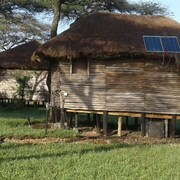 This tentalow is in Serengeti National Park. 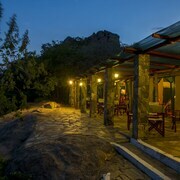 Explore Serengeti National Park with Expedia's Travel Guides to find the best flights, cars, holiday packages and more!